The Equality Institute worked with Our Watch to develop an Implementation and Evaluation Guide and this Guide to Prevention Monitoring as a companion documents to Change the Story: A shared framework for the primary prevention of violence against women and their children in Australia, which launched on November 10, 2015. This Monitoring Guide sets out a best-practice approach for policy-makers, researchers and advocates to measure population-level progress towards the elimination of violence against women and their children at the national level. It provides advice on how to consistently collect and report on data that will tell us, in the short to medium term, if such factors are changing. It supports data collection towards the National Plan’s ‘indicators of change’ and ‘measures of success’ which are prevention-related, but goes further to provide a comprehensive set of 33 medium-term indicators against the drivers and reinforcing factors of violence against women. 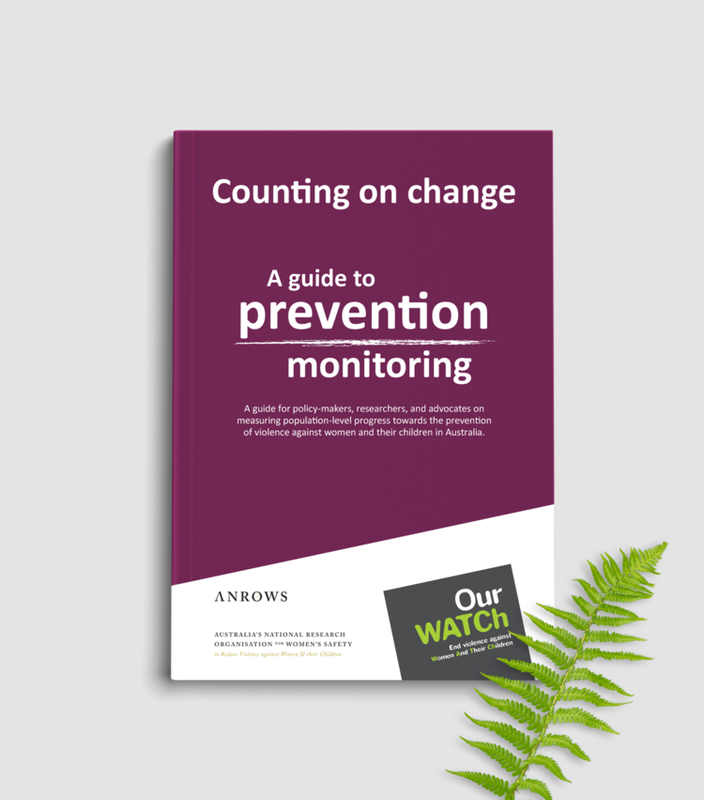 Access the Guide to Prevention Monitoring here.